After spending years admiring the Nissan cars’ styling, Richard McMickens decided it was time he acquired one of his own. Richard researched the market for quite some time and he felt that Nissan has got it right with the 350Z and the 370Z; however, he was intrigued with the improved drivability of the 370Z over the 350Z. McMickens made his way to CarSmith Motors in Northern California in the fall of 2014, and he quickly left as the owner of a 2009 Nissan 370Z with 20,000 miles on its odometer. The bodylines of the Z34 platform grabbed McMickens’ eyes right away, which he had fallen in love with prior to buying it. 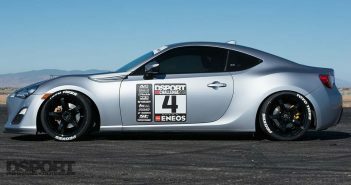 He knew the $30,000 he purchased the car for wasn’t going to cut it, however, mainly because he didn’t like that the 370Z wasn’t powerful enough in comparison to the Mitsubishi Evolution or the Subaru WRX STI. The Nissan had the body type that Richard wanted and boosting it up was nothing to lose sleep over, which meant it was time to plan the build and make the dream come true. Richard had a clear vision of what he wanted from his Z34, and that was a sports car that delivers more than 400whp. 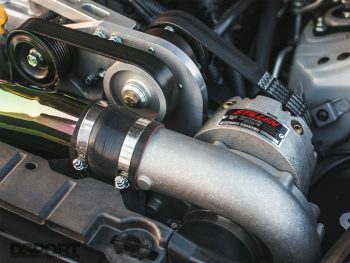 The engine boost couldn’t be planned out without having a clear list of suspension upgrades that can make the power useful, as Richard wanted his Z to handle well on his occasional track days that he participates in outside of the car show season. Finally, his main goal was to create a presence for the car on social media that allows people to recognize and appreciate his project; a car that runs as good as it looks. The Z34 was finally ready for some extra power. With the stock VQ37 under its hood, Richard took the Z to Rob Fuller at Z Car Garage and installed a Stillen Supercharger kit engineered around a Vortech V3 centrifugal design. The team of builders installed a Stillen intake manifold and Motordyne ART test pipes with a Top Speed Pro 1 Track Edition muffler. 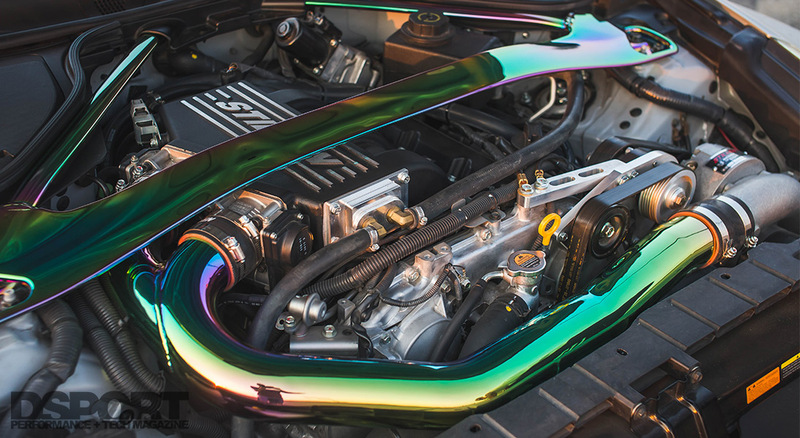 Staying in the Stillen family, they also installed a Stillen blow-off valve, intercooler, fuel injectors to send the right amount of fuel into the engine, a Stillen cooling system to keep the Z cool under heavy driving conditions, and an oil cooler. Pushing the fuel to the injectors is an Aeromotive 340 lph fuel pump. Rob Fuller took care of tuning the engine with the Uprev Osiris tuner. Initiating the combustion is a set of NGK GTR35 spark plugs. The engine’s compression ratio is 11:1 with a peak horsepower of 433.04 @7,000RPM, and a peak torque of 339.93 @6,000RPM. The ’09 370Z sits at 2.50” in the front and 2.75” in the rear measured from the fender to the tire. The stance comes courtesy of ISC Suspension 12k springs in the front and 9.9k in the rear, as well as ISC Suspension N1 32-way fully-adjustable coilovers. The engine’s power is complemented by a set of Stillen sway bars to keep the Z’s tires in maximum contact with the road. The VQ37 works collaboratively with the stock transmission, which features a performance clutch and flywheel by Clutch Masters. 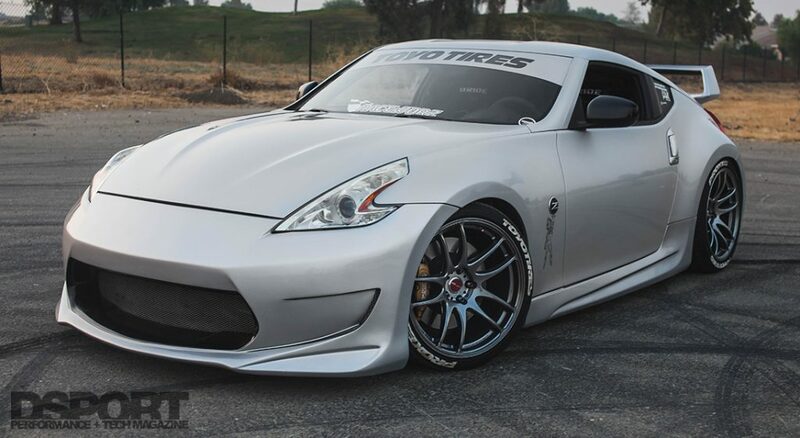 The project evolved as Richard drove his Z to all the car shows from Sacramento to Anaheim, California. For the wheels, McMickens decided to go with Work Wheels Emotion CR-Kai, sized 19”x9.5” +15 in the front and 19”x11” +18 in the rear. Wrapped around the wheels is a set of Toyo Tires Proxes T1 Sport 255/35/19 in the front and 285/35/19 in the rear. 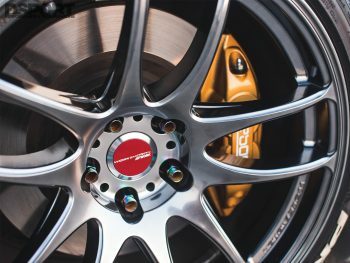 The Z34 is brought to a stop by a set of Akebono Sport brake calipers with StopTech pads, and they clamp on a set of Stillen brake rotors. The brake fluid is routed through Z1 stainless steel brake lines. Building the 370Z is a project Richard will never forget, from being recognized at various car shows through his Instagram account, to making memories in the garage as he battled through seemingly never ending obstacles. The problems took place outside of the garage as well; like when he took delivery of his Nissan after being at the paint booth only for someone to back into it in the parking lot. Tuning the Z was no picnic either. “Uprev had released a new cable and my car needed a reflash. The cable that came with the kit didn’t recognize the software, and this problem was forcing my car to bog,” Richard said. Fortunately for him, Rob Fuller communicated with the company and got a new cable to fix the issue once and for all. The interior of McMickens’ 370Z features Bride Gias Low Max ll seats for both the driver and the passenger. He pilots the car using a MOMO GT50 steering wheel with an NRG 2.0 quick release hub, complemented by a DragonBallZ star shifter. Finally, to finish off the interior Richard was able to acquire three-time drift champion Chris Forsberg’s signature on the passenger dashboard. The good looks of the 370Z are courtesy of Power House Amuse, thanks to the brand’s bumpers, side skirts, grill, and rear spoiler. The headlights are equipped with HID bulbs, which accent the Nissan Silver with gold flakes paint perfectly. The body work was all done by Andy Mach of Elite Auto Body in Sacramento, CA. 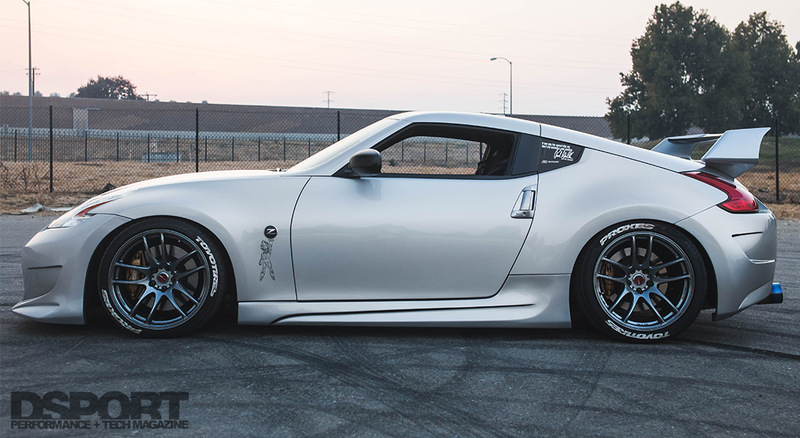 Working to build the 370Z of his dreams was an exhilarating process. 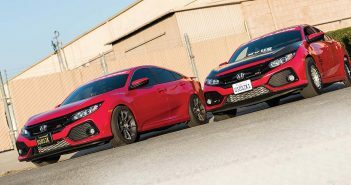 After thousands of dollars in modifications, seeing the project come to life brought McMickens a great sense of achievement; not to mention the recognitions he received from various companies and car shows. 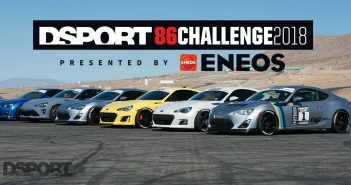 Some of Richard’s achievements include winning the first place trophy at Raceworz for best Nissan, having his 370Z featured on Matt Farah’s “The Smoking Tire” YouTube show, getting accepted into The San Francisco Auto Salon, which is held with The San Francisco International Auto Show at the Moscone Center; and finally acquiring a sponsorship with Toyo Tires. However, McMickens biggest achievement comes from his little son, who showed priceless face expressions each time he saw the car, the lights, the shows, and the environment that the automotive community brings.